What is the decimal equivalent of ? 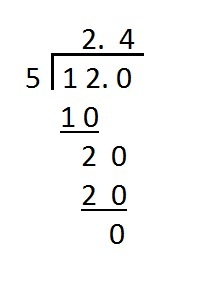 To find the decimal equivalent, divide the numerator by denominator. Divide 9 by 10. Your result is 0.9. 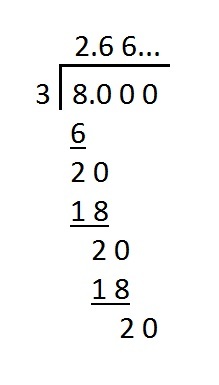 The quotient, and decimal equivalent, is 0.375. It can be seen that the digit "6" repeats forever. Therefore, the quotient, and the decimal equivalent, is . 2.4 is the quotient, and the decimal equivalent. Write as a fraction in simplest form. 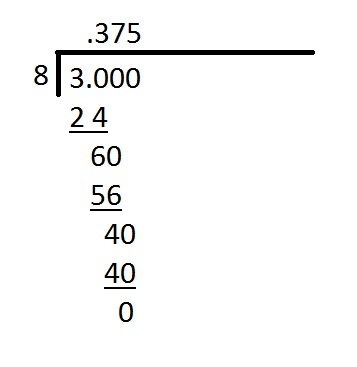 Since 37 and 100 have a greatest common factor of 1, the fraction cannot be simplified further. Which of the following can fill in the blank to make the sentence below true? is less than . Specifically, .25 is one third of . Therefore, the correct answer is "less than." 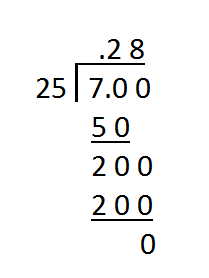 Write 0.72 as a fraction in lowest terms. How can the number be written in words? Given that is equal to one tenth, is equal to one hundredth, and is equal to one thousandth, it follows that is equal to eight thousandths. In order to write as a fraction in the most simple form, we must first write it as a fraction. Now we must divide the numerator and denominator by the greatest common factor, which in this case is .